After Star Trek Into Darkness, the only other science fiction summer blockbuster I was anticipating was Neill Blomkamp's Elysium. I loved Blomkamp's first film, District 9. It was massively entertaining and delivered a heavy dose of social commentary. After a summer of prequels, sequels, reboots, and homages, I was looking forward to cleansing my palate with a smart, fun, socially conscious, standalone science fiction film. Sadly, Elysium is not that movie. Elysium is a big lost opportunity. The film starts well. From a space station based on a real NASA concept to planetary scenes that were filmed in a massive landfill, Elysium is grounded in reality. I loved the worn-in aesthetic of Elysium. It minimized cartoonish CGI and reminded me of visuals from 2001: A Space Odyssey, Star Wars, Alien, and Blade Runner. The NASA inspired look of Elysium's space station is beautiful. There's also reality in the psychology of Elysium. I loved the scene in which a CEO is disgusted when one of his employees breathes on him. That type of revulsion actually happens. Using survey, experimental, and neuroimaging research, psychologist Susan Fiske has concluded that most people see the poor as disgusting, having no redeeming qualities, and incompetent. There's an exception to this – individuals who are seen as working hard to get out of poverty are rated much more positively (something we don’t see in Elysium). The film also highlights health disparities, albeit in a blatant way. Citizens of Earth don't have access to the magical healing beds that every Elysium resident owns. This makes the upper class immune to most diseases while the poor go largely untreated. That is similar to how health disparities work right now - because of a number of factors, including lack of health insurance, poor food quality, stereotypes that healthcare providers have about minority groups, language barriers, and being far away from hospitals, diseases and illnesses affect minority groups, rural populations, and persons with disabilities differently than the middle and upper classes. People can only access good healthcare on Elysium. Elysium accurately shows xenophobia. We briefly hear about a fear from the space station’s citizens that undocumented immigrants could ruin their way of life. A similar anti-immigrant fear exists in America right now. Americans worry immigrants will take our jobs and change our culture. There is also evidence that despite the many contributions of immigrants, this population continues to be discriminated in workplaces, communities, and schools. 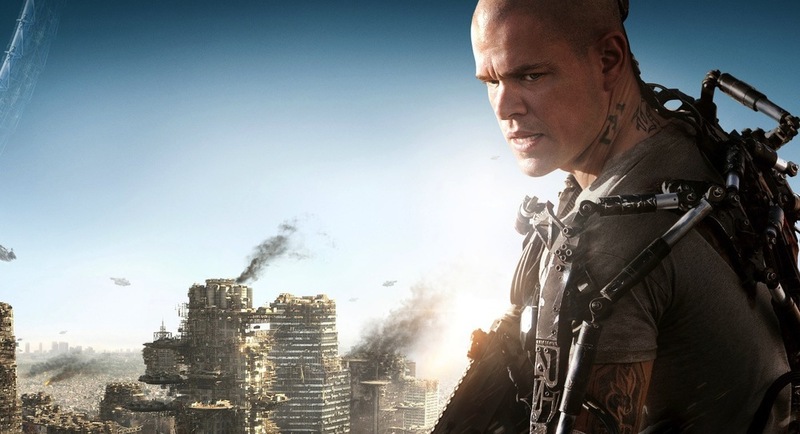 This foundation sets up Elysium with a compelling and timely premise. But the film doesn't do anything with these ideas besides saying "the rich are disgusted by the poor, health disparities make people sick, and Americans don't like immigration". It's not enough to say social inequalities are bad — science fiction can challenge our beliefs and force us to entertain ideas we wouldn’t otherwise consider. Instead, Elysium gives us simple messages about complex issues. The same problem exists with the film's heroes and villains. They are painfully shallow, unsympathetic, and have no arc whatsoever. Each character ends in the same place where they began. Even though Matt Damon's character had the power to change the course of the world, I rarely cared about what was happening to him. Jodie Foster's character was one of the most boring villains of the summer. Some call Elysium "one of the better action films of the year". I couldn't disagree more. The glorified violence combined with the realistic look of the movie made it hard for me to enjoy the action. This type of violence worked in District 9 because it was necessary to tell the story of humanity's oppression of aliens. Here, it was gratuitous. This film has an agenda — develop empathy for the poor, increase support for universal healthcare, and promote immigration reform. That’s probably not going to happen. Without any complexity to the story or characters, most people will walk away from Elysium having a stronger belief in their existing attitudes towards these issues. That's the biggest lost opportunity of Elysium — the chance for us to reflect upon the social issues of our time outside of our political biases. I usually find Slate to be too critical, but this time they were right on by calling Elysium "a waste of a perfectly good dystopia". The most positive review I could find comes from io9.